Our focus is on quality — not quantity. We give individual attention to each of our clients, providing one-on-one advice and information to help you understand your legal rights. We handle personal injury cases throughout Central Ohio, with the goal of getting the best possible outcome for our clients. Many personal injury firms handle hundreds of clients at a time, churning out cases and delegating responsibilities to case managers, paralegals, and associate attorneys. When Ray was newly out of law school, he worked at such a firm. 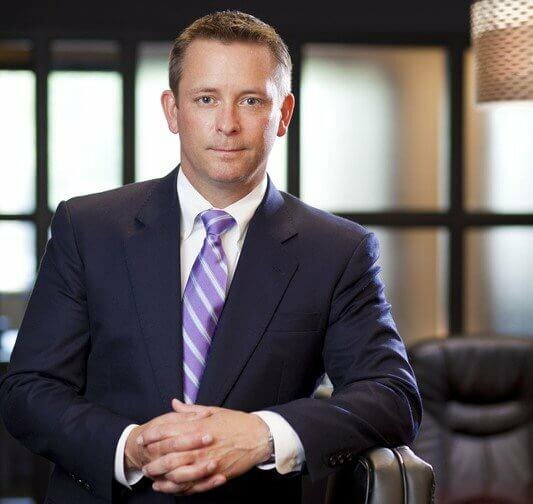 While it gave him valuable experience in the field of personal injury, he knew that a high-volume practice was not how he wanted to run his own firm. If you hire our law firm to handle your case, Ray will handle your case from start to finish. Your case will not be passed on to a case manager, paralegal or handed off to a junior attorney. You will receive top-quality, personal representation from us — and only us. E. Ray Critchett, LLC has a proven track record of success in Central Ohio. Ray has helped more than 500 clients successfully resolve their personal injury cases over the past decade. In this time, he has obtained over 15 million dollars in jury verdicts, arbitration awards in settlement negotiations for his clients. He has the skill and knowledge to get results for his clients — allowing them to get their lives back on track after an accident or injury. He has handled cases in more than 25 counties in Central Ohio, building a reputation and relationships in the legal communities and courthouses throughout the region. Ray is a compassionate attorney who understands how difficult accidents and injuries can be for our clients and their families. They know that when you are injured due to the actions of another person, you may be facing ongoing medical treatment, pain, and suffering, time off of work and an inability to fully participate in family life. We work hard to make sure that our clients’ needs are accommodated, scheduling meetings at clients’ homes or even Panera Bread. We want our clients to understand their legal rights and what is happening in their case. "I will guide you through each step of the process, helping you navigate the complicated legal system and providing you with straight answers to your questions." We will fight to make sure that you get the compensation that you deserve -- and that your goals to recover from your accident are achieved. We are not afraid to take measures to go to trial if needed in your case and put our best effort into your case. We understand the law and how to prove that another person was at fault for your injuries. There is a way to get fully compensated for the injury you're faced with and the time you've lost from work and life. We find the way and strategy to accomplish it. Our attorneys strive to provide the highest level of professional representation and personal service to each of our clients. Never relinquishing our values and protecting the rights of our clients, so they can go and live their normal day to day life again. We have handled serious and complex injury cases, including those that involve catastrophic injuries. We offer free initial consultations so that you can learn more about your legal rights and options. When you hire E. Ray Critchett, LLC, you will be represented directly by Ray and his partner — not an associate, case manager or paralegal. We personally return your phone calls and answer all of your questions.